Even that’s not strictly correct anymore, as fewer and fewer national chains are waiting till Friday morning to open their doors. In a move that’s all too likely a portent of things to come, K-Mart recently announced that it will open at 6:00 a.m. on Thanksgiving morning and remain open for the next forty-two consecutive hours. In a masterpiece of Orwellian doublespeak, a senior executive for the corporation presented its blatantly opportunistic initiative as a disinterested expression of holiday spirit. “This holiday season is all about giving,” vice-president Leena Munjal rhapsodized, and “because many [customers] like to start shopping well before Black Friday, we’re excited to open our doors early on Thanksgiving and offer other early access opportunities for them to shop and save.” How generous. Munjal went on to thank the corporations’ thousands of minimum-wage “seasonal associates” who have “volunteered” to share part of their Thanksgiving serving this worthy cause. I hope none of them gets trampled to death. Not all the Thanksgiving reports are depressing, however. Costco and Nordstrom have both announced that they will not open on Thanksgiving, and REI has gone even further in the right direction. Not only will the sporting goods and outdoor gear retailer be closed on Thanksgiving; earlier this week the company stunned the business world by announcing that it will be giving its employees a paid day off on Black Friday as well and is encouraging them to spend the day outdoors instead of at the mall. Good for REI. Americans have not celebrated Thanksgiving primarily as a religious holiday for more than a century and a half. The first Thanksgiving Day college football game took place during Reconstruction, for goodness sake, and even as early as the Civil War religious writers were lamenting the secularization of the holiday. But while Americans in large numbers by the late-19th century were celebrating Thanksgiving by attending sporting events, dances, and plays, the day was still remarkably free of commercialism, much less the frenzied consumerism that now threatens to overwhelm it. I can’t speak to REI’s motives, but this looks like a welcome step in a healthy direction. Just in case you’re like me and resent the way that we are now skipping over Thanksgiving entirely in our rush to open the Christmas shopping season, might I suggest that you read the following book as a good way to fight back against the craziness? 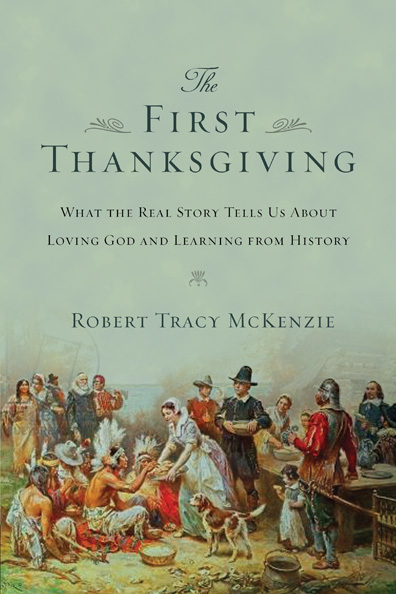 OK, so this will undoubtedly appear as an act of Shameless Self-Promotion, but in all honesty, I wrote The First Thanksgiving in response to a sense of calling to be in conversation with the church about what it means to think Christianly about the past. If that is something that you aspire to, consider picking it up or ordering it from Amazon. If you would like to read a brief review of the book before forking over nearly $14 to add it to your library, Christian historian Jay Case of Malone University has written a wonderful synopsis on his blog, “The Circuit Reader,” and you can link to it here. The Confederate battle flag is back in the news, this time down in Mississippi. 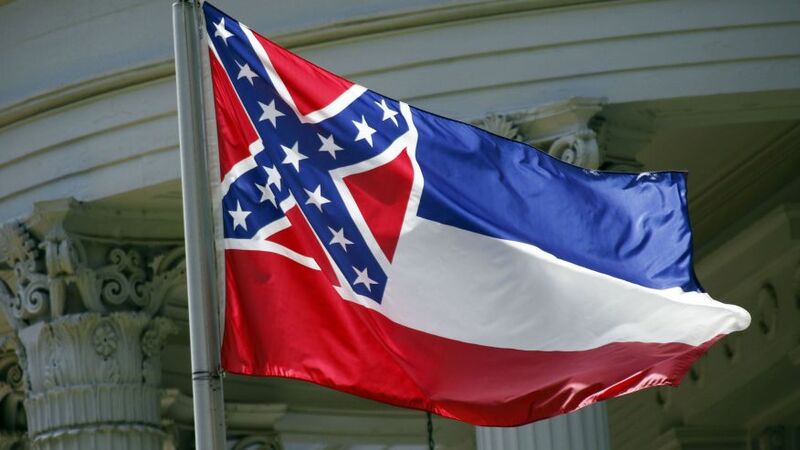 Mississippi is the only southern state that incorporates the Confederate symbol into its own state flag, and on Monday the interim chancellor of the University of Mississippi, Morris Stocks, ordered that the state flag no longer be flown over campus. Stocks’ order came after the school’s student and faculty senates both passed resolutions calling for the state flag to come down. The Mississippi state flag in front of the state capitol. But in justifying the act as he did, Stocks gave critics of the decision no reason to view it as other than a surrender to political correctness. That is exactly how Mississippi state Senator Chris McDaniel framed the new policy in a scathing statement. “Universities are supposed to be marketplaces of ideas, not cocoons designed for coddling the feelings of the perpetually offended,” McDaniel proclaimed on his official Facebook page. The McDaniels of the world are impervious to evidence, but Stocks’ statement would have been so much more effective if he had forthrightly challenged his fellow Mississippians to confront their past honestly. Defenders of the flag portray its critics as hypersensitive malcontents looking for ways to tarnish a noble heritage. Rather than weakly acknowledging that flying the flag caused certain unidentified Ole Miss students to feel less “valued,” Stocks could have argued that history gives black Mississippians every logical reason to see the flag as an unalloyed symbol of racism. The University of Mississippi’s decision to furl the flag isn’t political correctness run amok. It’s a responsible acknowledgment of the past as a step toward a brighter future. I have previously written on the historical context of the Confederate battle flag at great length. You can these essays here, here, and here. OK, so the Cubs didn’t win the world series, and that means we don’t have to accept the scriptwriters of Back to the Future part II as Hollywood’s version of Nostradamus. But yesterday’s celebration of “Back to the Future Day” still has me thinking about efforts to predict the future. 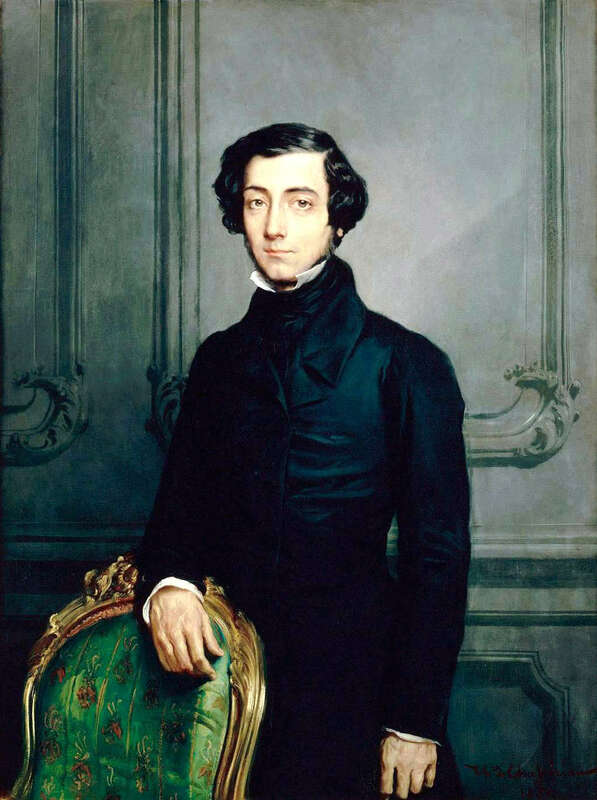 One of my favorite thinkers from the nineteenth century was the French aristocrat Alexis de Tocqueville, author of the classic Democracy in America. 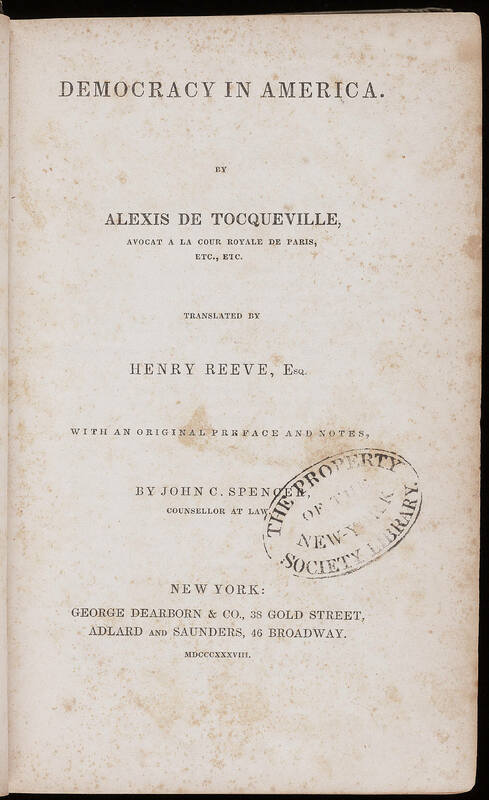 In addition to a plethora of penetrating insights into the nature of American politics and culture as the United States was evolving into a democratic nation, Tocqueville also offered some uncanny predictions about America’s future. I originally posted the essay below as part of a series on Tocqueville’s observations on American democracy.
. . . Predicting the future is not something historians are comfortable with. If it’s a glimpse into the future that you’re after—and you don’t have a crystal ball—you would do far better to consult a social scientist. Professional historians, when they are true to their craft, rarely are willing to make predictions about the future. Social scientists (political scientists and economists, for example), do this all the time. Why the difference? Today is my fifty-fifth birthday. I was resolved to focus my mind on business as usual, but when I walked into my office this morning I found sitting on my desk chair a large manila envelope, and in the envelope I found a tribute from a former student now living on the east coast. Sometimes you don’t realize how much you need encouragement until you receive it. I instantly felt a clutch in my throat as I read his words, and my heart welled in gratitude: Thank you, Father. The Scripture tells us that “every good and perfect gift is from above,” and this was a perfect gift. I’ve had a spring in my step all day. I’ve had at least two teachers that meet these demanding criteria, and each blessed me at a crucial juncture in my life. The first was Mrs. Gloria Henderson, my junior high social studies teacher. More than forty years have passed since I sat in her classroom, but I still can feel the excitement and energy that she brought into our midst. She was in her thirties when we first met—young, passionate, and opinionated. I’ve heard it said that to teach is to love something publicly, and Mrs. Henderson taught me history in precisely that way—by loving it infectiously. It wasn’t the discrete facts that stuck in my mind but the unstated premise that framed our every class session: the past was real, stocked with amazing stories and remarkable figures that could change our lives forever. I was hooked. But Mrs. Henderson didn’t only love history, she loved me. When we first met I was overwhelmed by the awful realities of adolescence. Twelve years old, I had no idea where I fit in the junior-high universe. I was short, overweight, near-sighted, and got good grades—a combination that maximized my misery daily. She either sensed or observed the isolation I felt—I don’t know which it was—but she gave me more private pep talks than I could count, and her simple acts of kindness were a critical lifeline that I will never forget. The second teacher that stands out in my memory was Professor John Morrow, who taught the first history course that I ever took in college. 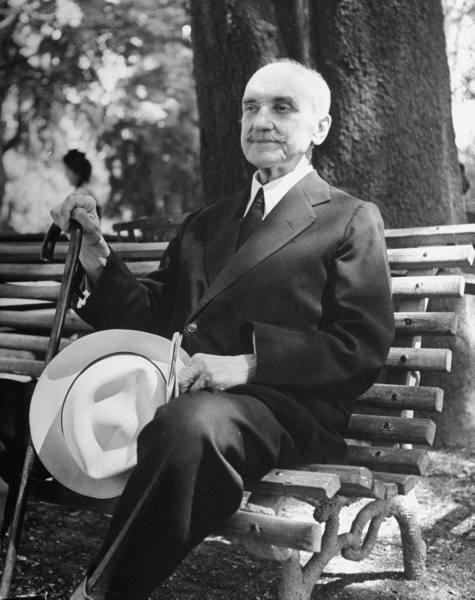 Dr. Morrow was my western civ instructor at the University of Tennessee, and I found him captivating. I was in a small honors section with Dr. Morrow, and while most of the freshmen who took western civ sat in a cavernous lecture hall with hundreds of classmates and listened to lectures, I got to sit in a circle of a dozen or so students and have conversations with this remarkable man. He treated us like adults (it gets your attention when you’re eighteen years old and your professor calls you “Mr. 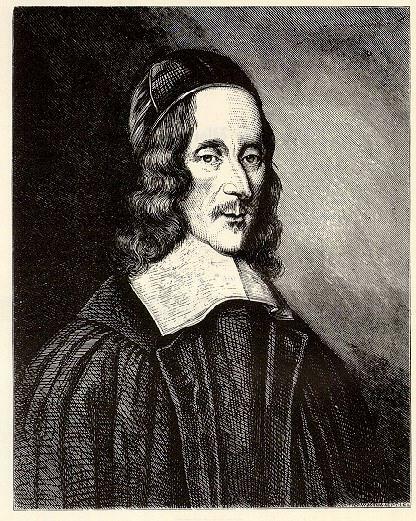 McKenzie”), but even more, he treated us like fellow historians, and I loved it. Humanly speaking, I’m probably a college history professor because of Dr. Morrow. My dad was an accountant and my mother was a math teacher, and my two older siblings grew up to be an accountant and a math teacher. History professor wasn’t on my radar, but at the end of my freshman year, Dr. Morrow told me that I had the potential to do what he did for a living. He didn’t push me, just offered to talk with me about it if I ever wanted. The following spring we sat on a bench outside the humanities building while he talked to me about his life and why he loved what he was doing. God used numerous individuals and influences to lead me down the path I have taken, but Professor Morrow’s role was critical. I wasn’t sure that I wanted to be a history professor after our talk, but he had planted an idea that hadn’t been there before, and it wouldn’t go away. I’m a firm believer that many of the most important things a teacher does take place outside the classroom: in office hours, over coffee, or sitting on a bench on a chilly spring day. 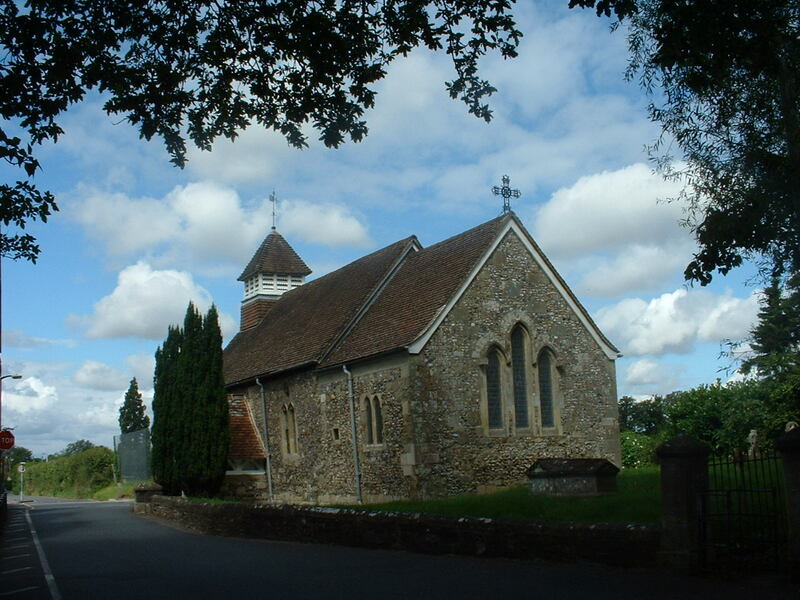 If you’ve been blessed by an extraordinary teacher, why not let him or her know? 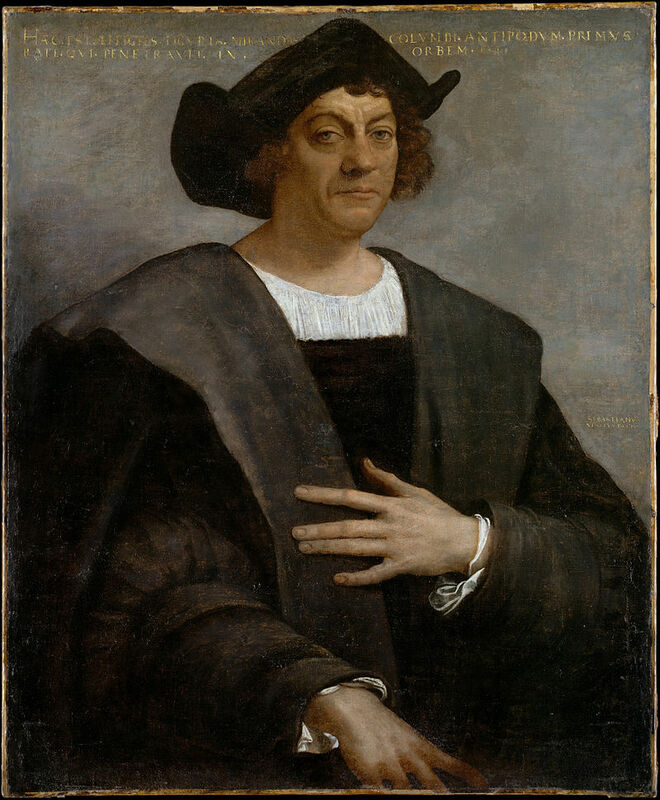 A reader wrote me privately this morning to ask my opinion of Christopher Columbus. 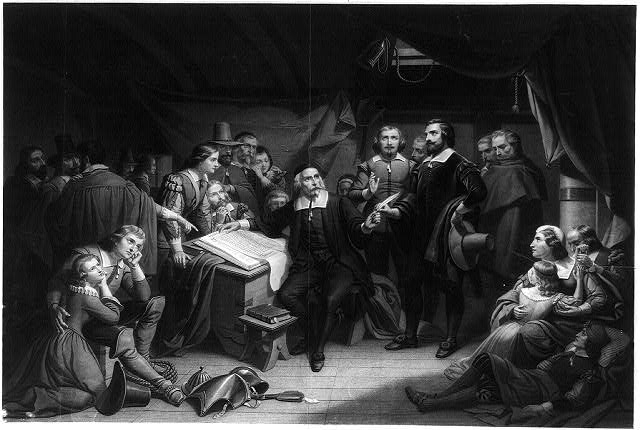 I’m not sure my opinion counts for much, as I am hardly an expert on Columbus, but I have long appreciated Robert Royal’s writing on the subject. Royal is a conservative Catholic historian and president of the Faith and Reason Institute in Washington, D.C. In the larger context of academic debates over Columbus and the implications of his voyages, Royal comes in at the sympathetic end of the continuum. I would not take his position as the final word, but it is worth reading, and probably a useful counterpoint to the dominant academic position.